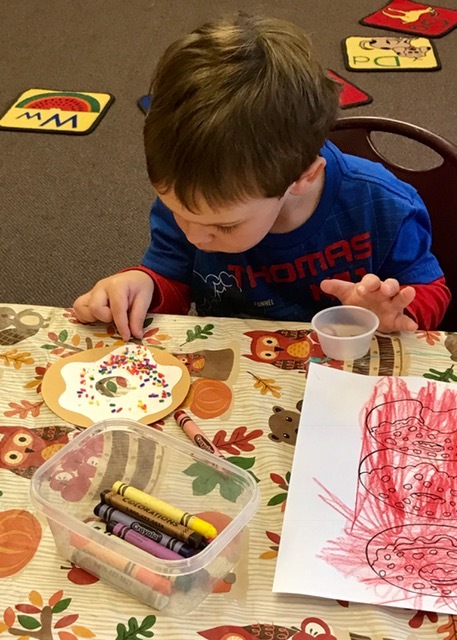 his week in Story Hour, we focused on Laura Numeroff's books. 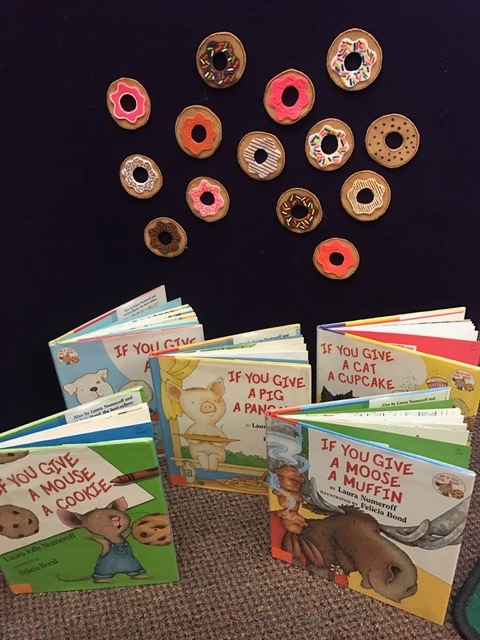 She wrote "If You Give A Mouse A Cookie" and many other titles with similar plots, always involving animals and food. 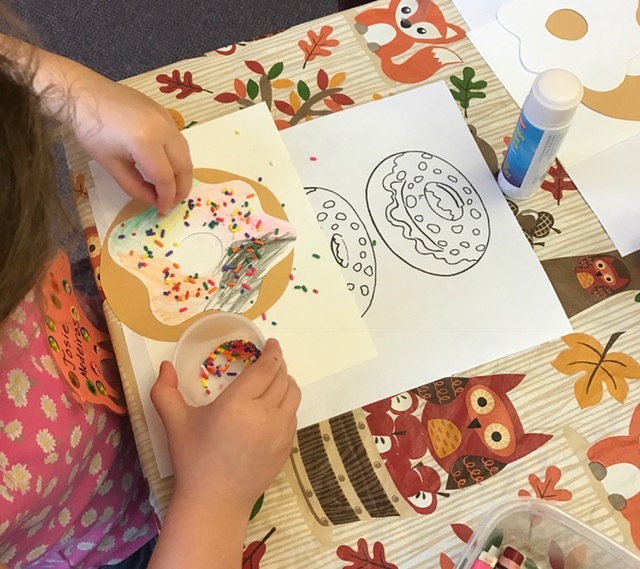 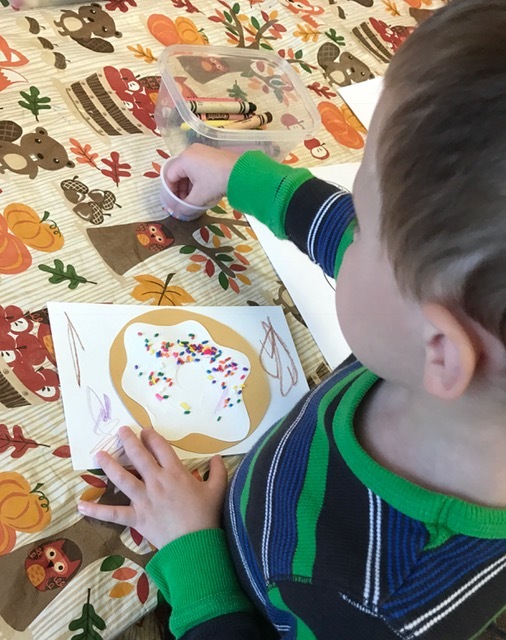 Since "If You Give A Dog A Donut" was one of our stories, the kids each made their own donut with real sprinkles!